Mikhail Tal won the world title in great style in his match against Botvinnik in 1960. In the return match Botvinnik got his revenge. Tal was in bad health and didn’t prepare very well. He lost the match with 13-8. Had Tal lost his magic touch too? Not quite. 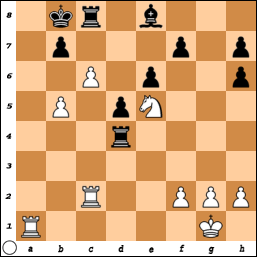 White (Tal) to move and win. 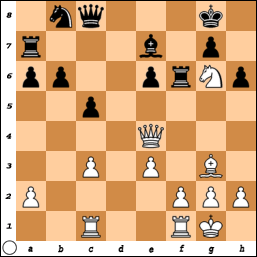 White to play and win…?! But how?